A Curtiss Jenny and its unfortunate pilot during the 1920's. This scenario has the pilot - who has run out of gas - and upon landing hit something unforeseen, causing him to do a ground loop and shearing off his right wing tip. 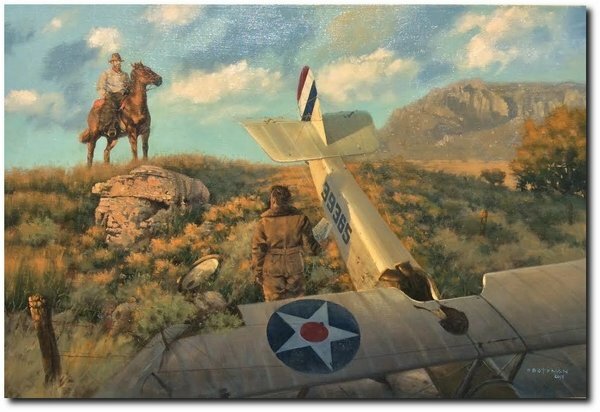 A cowboy, whose ranch is on the other side of the hill, rides atop the crest to see what the noise is all about and to check with the pilot, who seems fine, though agitated at his dilemma.